This prestigious and exclusive scholarship is offered to excellent students with high leadership talent. It provides financial support to potential graduates who are pursuing studies at Bachelor's Degree level at any IPTA or IPTS in the country. Recipients of this scholarship are named Tunku Scholars. (ii) Not more than 25 years of age at the closing date. (i) School leavers of STPM / Asasi / Matriculation / Diploma * who achieved a CGPA of 3.50 and above. (ii) The application is also open to full-time graduates of Bachelor's Degree at IPTA or IPTS in the country who obtain a minimum CGPA of 3.50, and have at least 2 years remaining to finish their studies. (iii) Credit in Bahasa Malaysia and English Language at SPM level. (iv) Possesses the characteristics of outstanding leadership and active participation in extra-curricular activities, especially at school or university. Short-listed applicants will be required to attend a Leadership Traits Observation programme and attend the Selection Interview sessions arranged by YTAR (Yayasan Tunku Abdul Rahman). 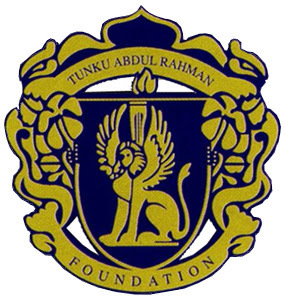 To preserve the status of BTAR as a prestigious and exclusive scholarship, any Tunku Scholar who fails to maintain the achievement of the CGPA of 3.50 and above may be given a penalty such as being downgraded to the Tunku Abdul Rahman Studentship (DTAR) or Tunku Abdul Rahman Education Grant (PPTAR) scheme, or have the scholarship terminated and be stripped of the title 'Tunku Scholar'.